This great row home in Leslieville had good light, and nice lines. However, the existing furniture didn't really showcase the space to it's full potential. We brought in fresh furniture in neutral colours, and re-positions existing art work throughout the home. The result was stunning. TIP: Not every buyer can envision all the possibilities within a space, so our approach with home staging is to show how each room can be used. 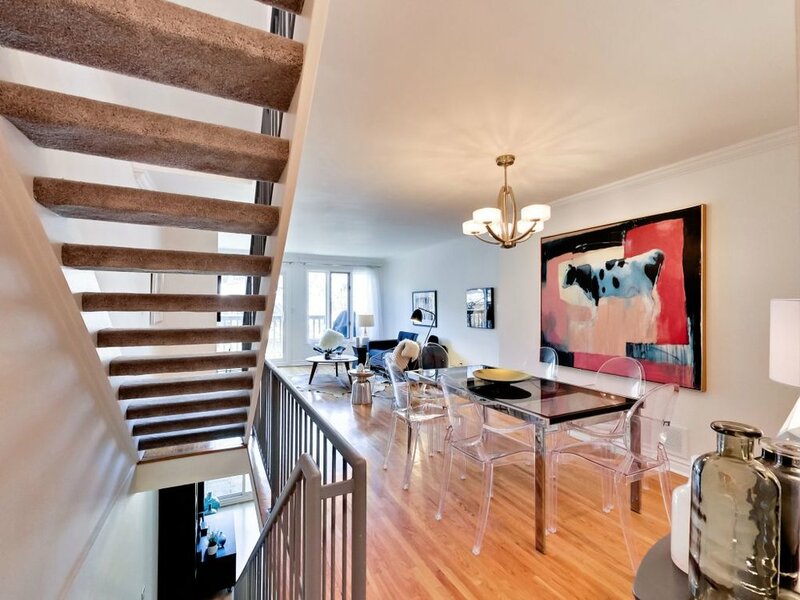 We do this by optimizing space while leaving lots of room for buyers to walk around. The key is to give a little suggestion, while leaving the rest to the imagination.